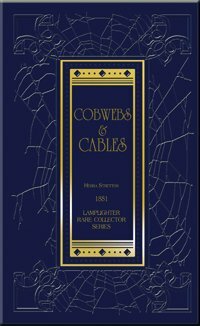 Cobwebs and Cables is part of the Classic Collection. Here is a book that you just can't put down! It is a story of man's decision to get caught up in sin out of desperation to serve the one he loves. But it soon becomes clear that one lie from a "truthful" man is more hurtful than all the lies of a liar. Those who yield to its power engage in an intricate path of falsehood-an entangling maze-that ever deepens as one lie builds upon another. As you wrestle with the characters in this engaging drama, rest assured that your confidence will grow, not in man, but in our loving, forgiving God. "I finished Cobwebs and Cables in one day...I couldn't put it down! The story rates right up there with Ishmael, Self-Raised and The Hidden Hand. Amazing!"